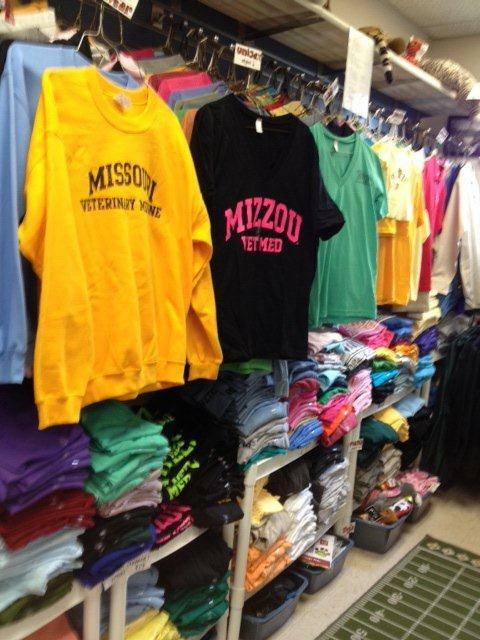 The Missouri Veterinary Educational Services (MVES) is a not-for-profit organization owned and operated by the veterinary students at the University of Missouri. The bookstore sells veterinary medical books and clothing to students, veterinarians and the public. Click here to view currently stocked products. We also have an extensive selection of Veterinary Medical textbooks, manuals, and reference books. Please call us for more information. All profits are returned to the veterinary student body in the form of scholarships, event sponsorship, caps and gowns for the graduating seniors, and low cost textbooks. We are located in W232 on the top floor of the Vet Med bldg in the north hallway.